I’m an Italian girl who is having her work experience in London for a month and I’ m going to talk about it. I wrote… What about London... I have never had the experience to live in a city so busy, so full of life and so exciting! I started my stay attending an English course that I found as something completely new for me because my classmates were nearly all-different nationalities. It was not only interesting, but also above all educational and important; I met people with different cultures and lifestyles and it’s interesting to learn more about them. The English course was general so it was good to prepare me for my internship. I didn’t feel ready for work experience abroad because I wasn’t enough self-confident but when I thought about having a job in the centre of London at 18 years old I was excited and happy to have this experience... it’s my time! I’m in London and London gives you an opportunity for everything. Being here is important for me because not everybody has the opportunity or maybe the determination to spend a month in a foreign country far from his or her own family. So… I’m satisfied with myself. This is a city rich of wonderful sights; I was enchanted when I visited inside Buckingham Palace, the breathtaking Big Ben and the Houses of Parliament, without forgetting St. Paul’s Cathedral. 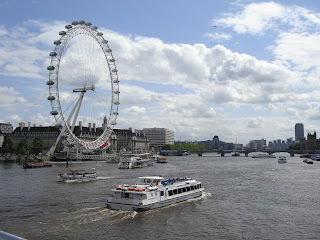 In London you can enjoy yourself in a thousand ways, going on a great tour on The London Eye, spending a day shopping or going to pubs or discos with friends… How can’t you have a good time here?! Anyway, in my opinion, the most important thing that London can offer you is the right opportunity in your life. Everyday that I spend in London means a lot to me. 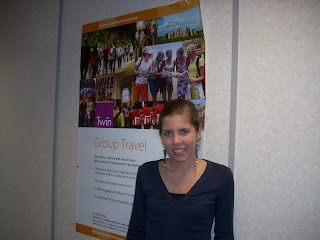 I am increasing my self-confidence, improving my English and my personal skills at work and of course, enjoying my self. What more could I ask for? Thanks London!